Dock Woods, the Lansdale community of Living Branches, is a continuing care retirement community offering all levels of living accommodations within Residential Living, Personal Care, Memory Care, and Health Care (also known as Skilled Nursing). 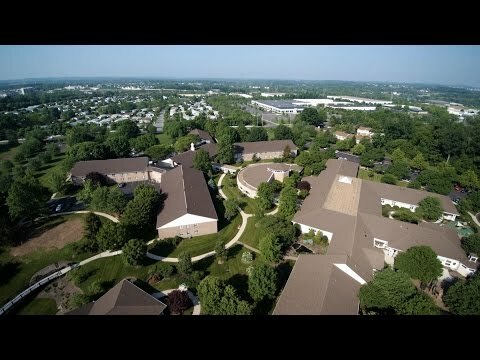 Residents of Dock Woods enjoy life on the scenic 108-acre campus, minutes from the lively town of Lansdale, Pa. Convenient access to the Pennsylvania Turnpike and SEPTA rail lines allow for simple commutes to Philadelphia and the surrounding suburbs. Dock Woods is located next to Christopher Dock Mennonite High School, which fosters camaraderie between students and the residents who take advantage of sporting and cultural opportunities. Dock Manor and Dock Village are both located on the Dock Woods campus and offer affordable housing to older adults and to families who qualify for rental assistance, respectively. Since the first accommodations were established on the campus in 1981, Dock Woods has grown and diversified to meet the evolving needs of people in our region. Today, Dock Woods offers a wide range of housing and life-enriching services for older adults and families. To find out more about opportunities at Dock Woods or to schedule your own personal visit, contact the Living Branches Marketing Department: 215-368-4438.